My monthly trek to CVS was quite fruitful this month. 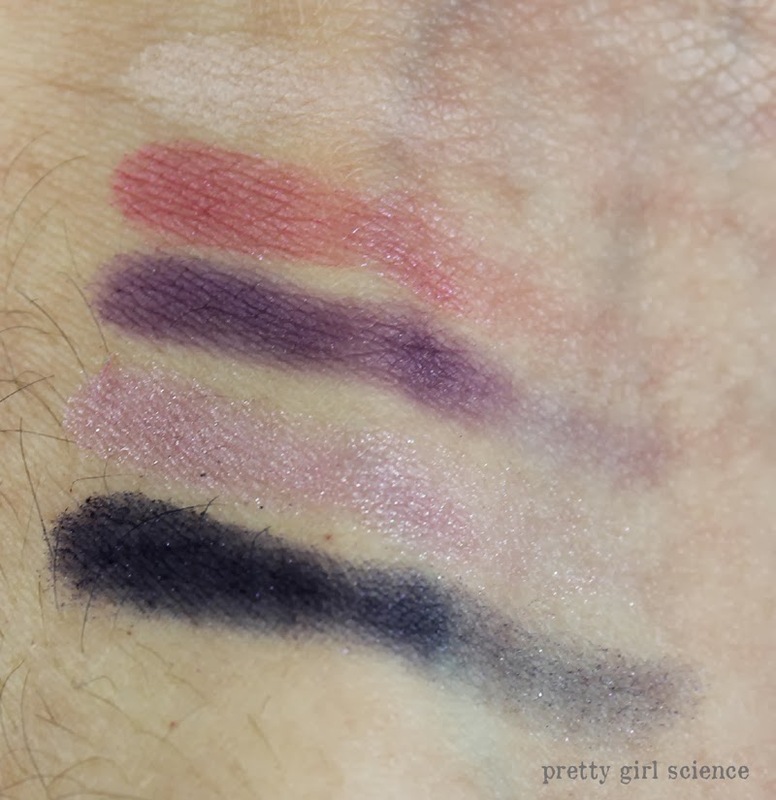 I stumbled onto the new Wet 'n' Wild five pan palettes! And as luck would have it, they all had $1 off coupons attached to the front...and I had $4 in extra bucks. I consider this a sign from the gods! The first one I grabbed was Floral Values. It's a lovely, feminine collection of purples and pinks. They may not be the best colors on me, but I love them just the same. They aren't as pigmented as older WnW shadows, which was a bit of a bummer. But they are quite soft and blendable...and for $4 the are fab. The real standout here is that dark purple color. It is the perfect inky, midnight purple. Coupled with a fine brush, it would make a terrific eyeliner. The colors are all satin and demi-matte, which is great for someone my age. Super shimmery/glitter colors tend to show every wrinkle I've ever had, and no one wants that. The other one I snagged was Art in the Streets, and this was purely for the novelty of the colors. But I was completely surprised at the epic amount of pigmentation here. Especially the orange color. You get five (mostly) matte, bright, happy shades here...not a loser among them. 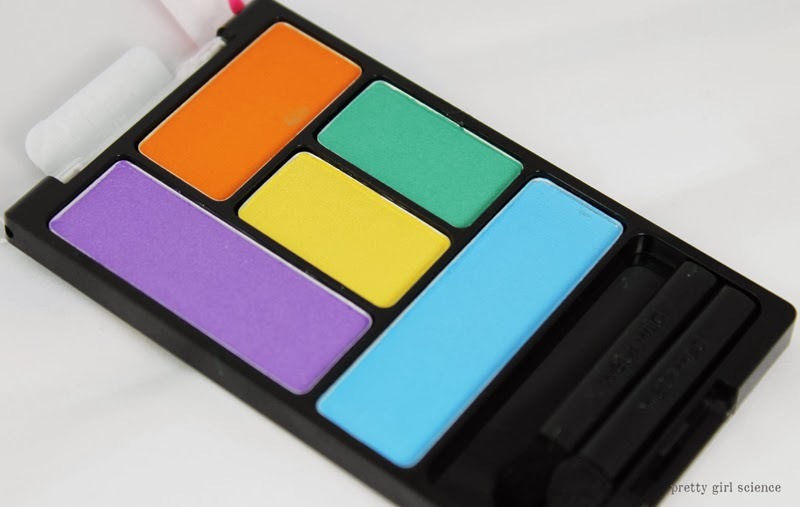 I am especially looking forward to trying a rainbow eyeliner look with these. Tl;dr is grab a couple, especially if you see the ones with the $1 off coupon. They are fun, and hopefully an indication of things to come! I feel the opposite. I dislike mine and want to return them for the lack of pigment. 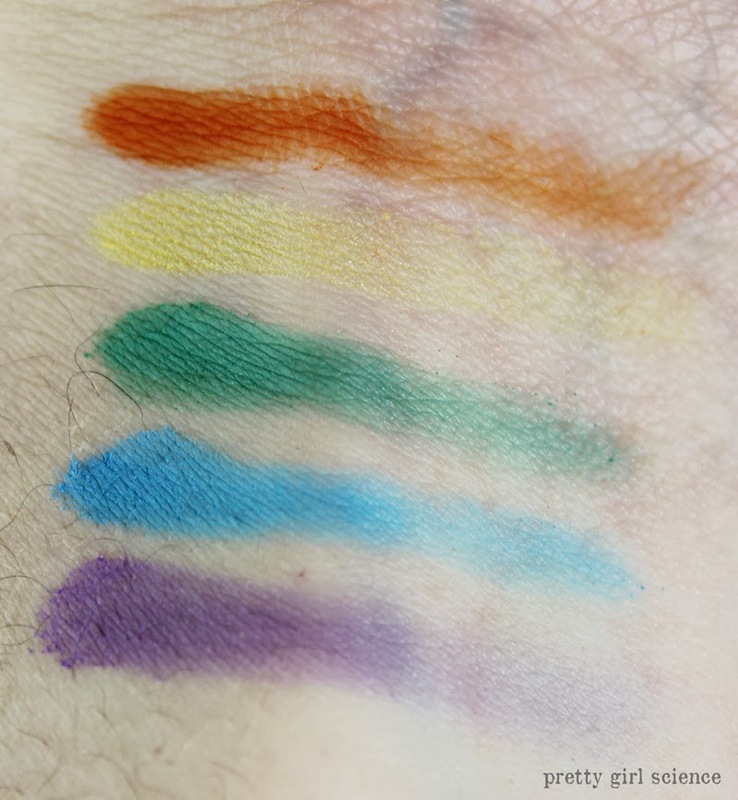 I agree with SealedwithaSwatch they do look ok pigmentation but they don't look like amazing pigmentation. 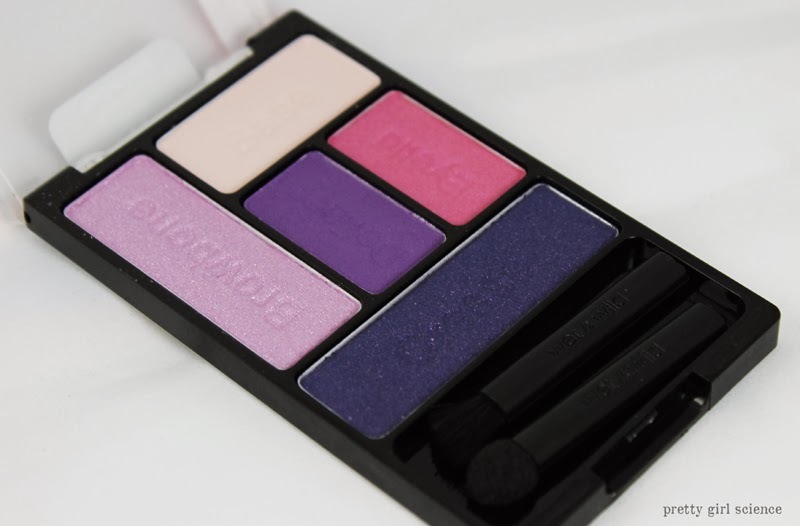 I on one hand do not mind this so much as the palette is pretty cheap and I feel that if you use a coloured eyeshadow base it really doesn't make too much of a difference as the colour will still be bright. I live in the UK and I have never seen Wet & Wild here but when I go back to America I will need to give some Wet & Wild products a try! you really do need to get them. For the price, they are pretty amazing...and a little Nyx Milk underneath does wonders.